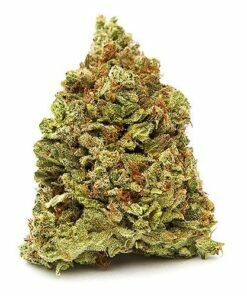 Sour Diesel, otherwise known as “Sour D” or “Sour Deez” is a sativa dominant hybrid strain with a 90:10 sativa/indica ratio. The origin of Sour Diesel is frequently debated within the marijuana community. Some say it’s a cross between mass super skunk and 91 Chemdog, while others claim that it’s a cross between Mexican sativa and a Chemdog phenotype. Either way, you can undoubtedly look forward to a high like no other. Couch lock and a “heavy feeling” aren’t a factor when smoking sour diesel. Instead, you can expect an invigorating cerebral high that open up doors of creativity. Sour Diesel Strain is commonly used amongst medical patients to relieve anxiety, depression, and chronic fatigue. 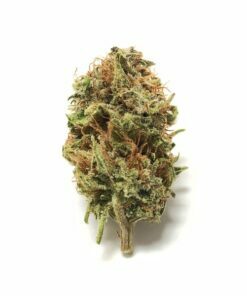 Although sour diesel consists of some indicia, it’s not the best strain for insomnia and other similar ailments because of the stimulating and lively head high that it delivers. Due to the effervescent contained within this strain, many people choose to smoke sour diesel at the beginning of their day for a head start. The potency of Sour Diesel weed is just enough to give you a great high and become your daily toke. The word “diesel” in sour diesel didn’t come out of absolutely nowhere. Sour Diesel has one of the most pungent aromas of any strain, similar to Diesel Gas with a hint of lemon. You can expect a smooth toke with a slight lemon aftertaste. 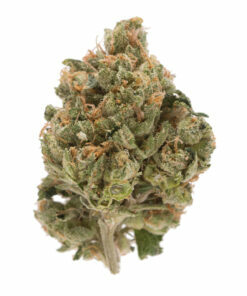 The appearance of sour diesel is composed of dense light green mug covered in orange hairs.